As manufacturing costs around the world continue to increase, companies are looking for options to remain sustainable. Asia often comes to mind as a low cost manufacturing hub, but have you thought of Mexico? There are many reasons why Mexico is a very agreeable option. A maquiladora is the best option for setting up a manufacturing business in Mexico – this is a manufacturing facility in one of Mexico’s many free trade zones (FTZ). Mexico has over 100 such free trade zones as well as the NAFTA trade agreement which offer many advantages over manufacturing operations in America and Europe. Mexico had developed over 100 FTZs known as Maquiladoras which provide several tax advantages for manufacturing companies including no import or export tax on goods, reduced or no corporate tax, and no value added tax (VAT) on imported goods into, and out of, the zone. Low Cost and Large Labour Force: The average annual Mexican wage is US$9,000 versus $56,000 for the average American and Canada making it very attractive for US and Canadian companies to set up in the FTZs. It should also be noted that labour costs in Mexico are approximately 20% lower than those in China as China’s wages have increased in the last decade, again making the maquiladora trump China’s major manufacturing hub. Another big advantage to setting up a large manufacturing plant in Mexico is the comparatively low rent and utilities. Monthly office rent in the FTZ areas of Mexico averages around US$21per square meter which is much lower than average rent in the rest of Mexico or in America. Electricity is also considerably cheaper and costs approximately US$0.07 per Kwh. Mexican FTZs look to continue to grow from strength to strength as the US economy recovers and consumer demand for products in the US grows. If you need help in determining if a maquiladora company is for you then don’t hesitate to contact Healy Consultants Group PLC for assistance with company incorporation and other services related to set up. Please email us at and we will be happy to advise you. 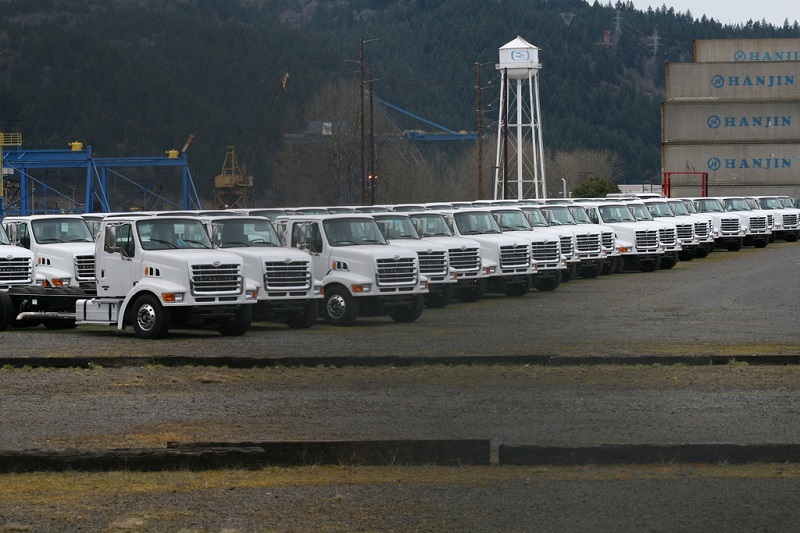 Photo credit: Unsold Sterling Trucks by born1945 (CC BY 2.0) via Flickr. « After Nokia, can entrepreneurs and foreign investors revive the Finnish economy?